The Thirsty Wintergarten will be coming to the gardens of the Gonville Hotel this year. 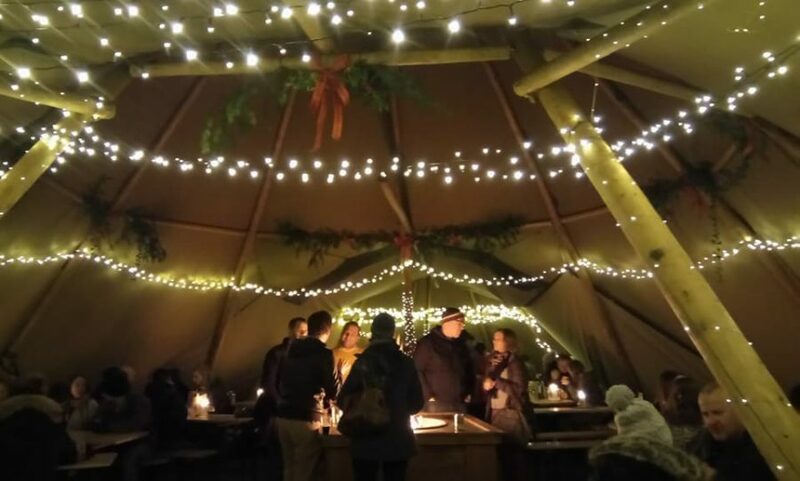 Running every weekend from Fri 16 Nov until New Year’s Eve, Thirsty will be back in their magical giant tipis (complete with fire pits), with 14 taps of craft beer, cider, Prosecco, wines and cocktails, along with mulled wine and cider, plus various softs – all served from their Thirstybus bar. A rota of Cambridge’s favourite food trucks will be in residence to provide the vittles, with a range of fab wintery, Euro-choonz playing on the PA system.